I am an Australian Research Council Future Fellow, and Deputy Head of the Department of Biological Sciences at Macquarie University. I am a neuroethologist, which is a discipline of neuroscience studying the neural mechanisms of natural animal behaviour. 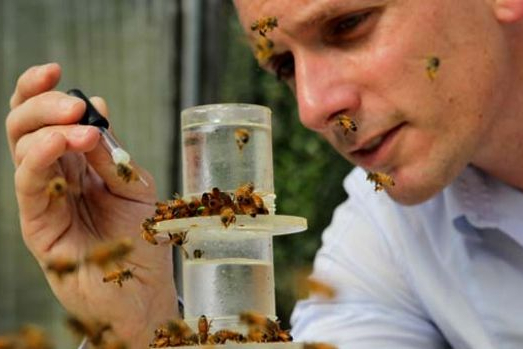 Most of my research focuses on insects, especially honey bees. Honey bees are especially illuminating for behavioural research. 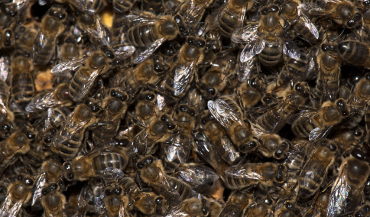 They display social structures, communication systems and cognitive abilities that rival those of many mammals and yet their brain is a tiny fraction of the size: a bee brain is 500 times smaller than even a mouse! Insect brains are small but they are not simple. 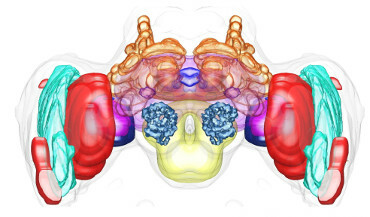 The bee brain has a complex modular structure with more than 800,000 neurons densely packed into it. The small size of the insect brain makes them easier to comprehend through experimental study however. We have advanced techniques to visualise, manipulate map and record from the insect brain. For these reasons, neuroethologists have made important contributions to our understanding of fundamental behavioural systems such as vision, olfaction, navigation and learning and memory through studies of insects. My research continues this tradition examining what can be learned about the mechanisms of cognition, social behaviour and even consciousness through studies of the remarkable insect brain. I also conduct research to improve honey bee health and welfare. I am studying how bees and bee colonies are impacted by pesticide and disease stressors, and how we might best intervene to help colonies under stress. Follow these links to download my CV and publication list. Find me on Researchers@MacquarieUni, Google Scholar or Researchgate. What is it like to be a bee? Are simple animals like insects cognitive and reflective entities, or are they more like robots: simple reflexive stimulus-response entities? I believe studying animal behaviour combined with studies of the mechanisms supporting behavioural capacities will give critical understanding of the nature of animal minds. The insect brain is a complex cognitive microprocessor. This project combines experimental neuroscience with computational and mathematical modelling to explore the circuits and systems of the insect brain function and generate behaviour. This is not an easy time to be a bee. 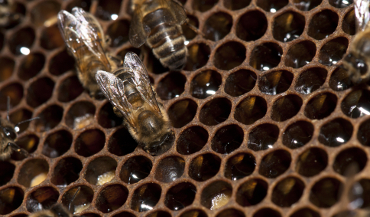 Pesticides, diseases, habitat degradation and climate change are all piling stressors onto honey bees. Honey bee colonies are failing at such levels there is concern we may not have enough bees to pollinate our food crops. My research explores how we can best support bee health in the current challenging environment. Neuroethology is a research strength at Macquarie University. With my colleague and students we have a large and active research team studying cognition, social behaviour, learning, memory foraging, vision and navigation. My research explores how behaviour emerges from the circuits and systems of animal brains, and how behaviour evolves. What is it like to be a bee. Insects can teach us about the origins of consciousness, The Conversation 2016. It's time to build a bionic brain for smarter research, The Conversation 2014. 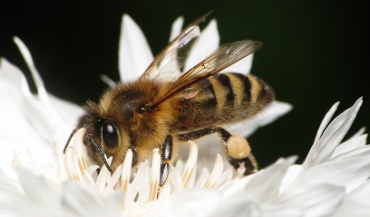 Bees aren't just smart, they're sensitive too. The Connectomic Revolution: What the Insect Brain Can Tell Us About Ourselves. How a brain the size of a sesame seed could change AI forever, ComputerWorld 2018. I am examining how stress impacts bees and their colonies so that I can develop better interventions to rescue colonies at risk of failure. The Neuroethology Group at Macquarie is a collaborative and connected peer group bound by shared research interests and mutual respect. We examine the mechanisms and evolution of natural behaviour, and use a comparative approach to determine general principles of the relationships between brains and behaviour. My research is highly transdisciplinary and integrative in approach with projects spanning philosophy, neuroscience, cognitive science, ethology and sociobiology and computational and mathematical biology. At Macquarie University I work very closely with my colleagues Ken Cheng, Ajay Narendra, Mariella Herberstein in Biological Sciences, Jennifer Cornish in Psychology and Colin Klein in Philosophy so that students and postdocs are part of a supportive community with collaboration and idea exchange as core practice. We have created a reciprocal network of student co-supervision, postdoc co-mentoring and co-publication and hold joint lab meetings, shared annual research retreats and annual intensive workshops focussed around grand challenges. International collaboration is a vital aspect of my research. 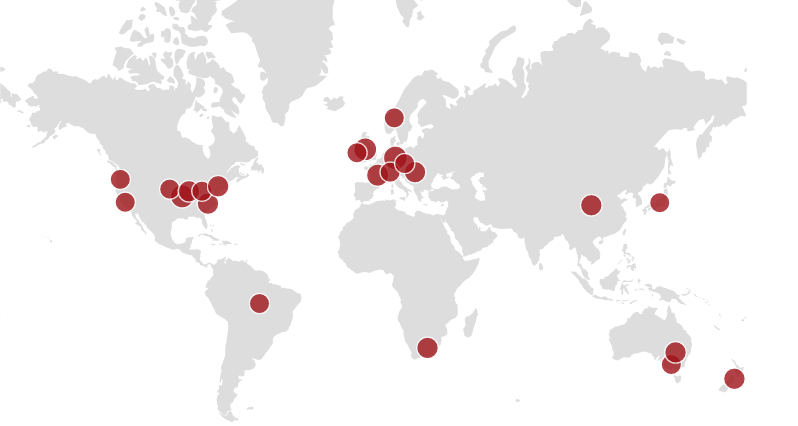 The lab has collaborative links worldwide. Macquarie University supports cotutelle programs for PhD students allowing graduate students to be enrolled in two institutions and jointly supervised. This gives students a far richer PhD experience, and also supports international research collaborations. Four of my current PhD students are cotutelle supporting vital collaborations with Prof. James Marshall at The University of Sheffield, Prof. Jean-Marc Devaud and Dr Mathieu Lihoreau at Universite Paul Sabatier Toulouse and Prof. Giovanni Galizia at The University of Konstanz. Australian and International graduate students interested in studying for a PhD and having an outstanding academic track record may be interested to apply for a Macquarie University Research Excellence Scholarship. Contact Andrew Barron for more information.